Highlights of the Sky Bet League One game between Walsall and Charlton. 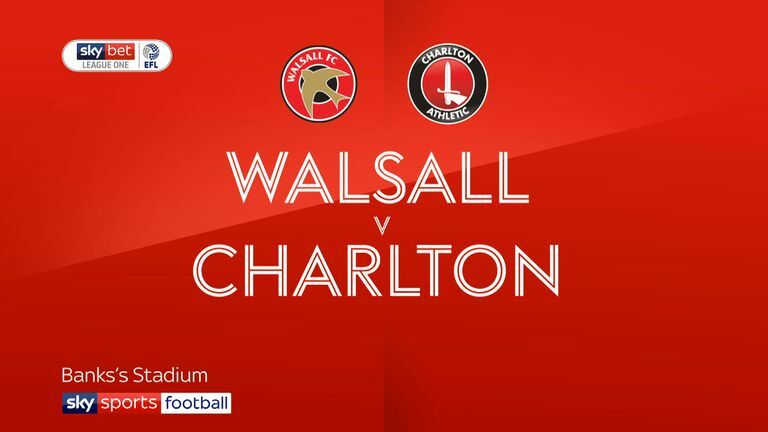 Lyle Taylor's ninth league goal of the season helped Charlton climb back into League One's play-off spots as the Addicks claimed a dominant 2-0 win at Walsall. 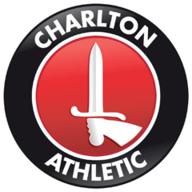 Taylor put Charlton ahead from the penalty spot after just six minutes, sending Liam Roberts the wrong way after Tariqe Fosu's clever turn in the area drew a clumsy foul from George Dobson. The lively Fosu had already curled inches over from 15 yards on three minutes but Charlton suffered a blow when Igor Vetokele was carried off on a stretcher with a shoulder injury. The Angolan's replacement, Karlan Grant, almost made it 2-0 from Taylor's cross on the brink of half-time but Roberts' fingertips foiled his header. Charlton did double their lead in the 51st minute as a corner fell to Arsenal loanee Krystian Bielik six yards out and he lashed home. 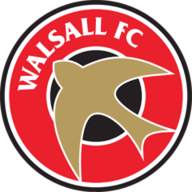 Walsall took 77 minutes to register a shot on target as Morgan Ferrier's strike brought a diving save from Jed Steer but the 10th-placed Saddlers slipped to a fourth defeat in five league games.